Home / GST-Tally / TallyERP.9 Lessons / How to Create Composite Sales Supply under GST (Reverse Charge)? 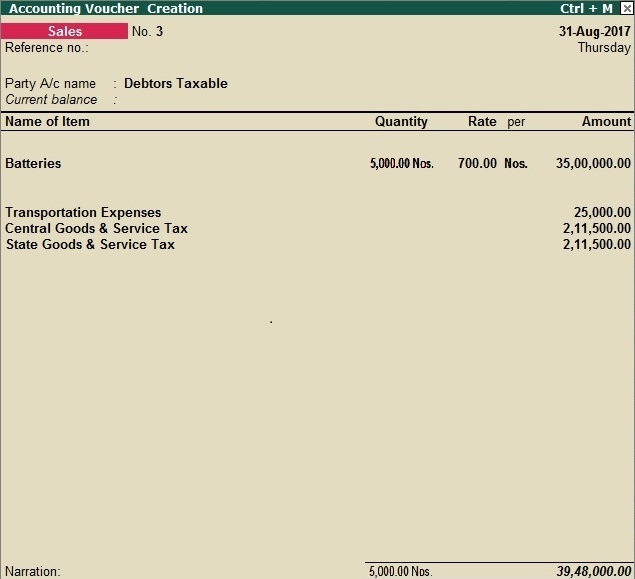 How to Create Composite Sales Supply under GST (Reverse Charge)? You can record the sales of composite supply using a sales invoice. The tax rate applicable on principal supply will be considered as the rate of tax for the composite supply. In a composite supply of both goods and services, either one of them can be the principal supply. If you are not sure about the principle supply and the secondary supply then you can create separate invoice for goods and services. Create a service ledger to participate in the sales of Composite supply. Select GST Applicable as not applicable and Set Alter GST Details as No. 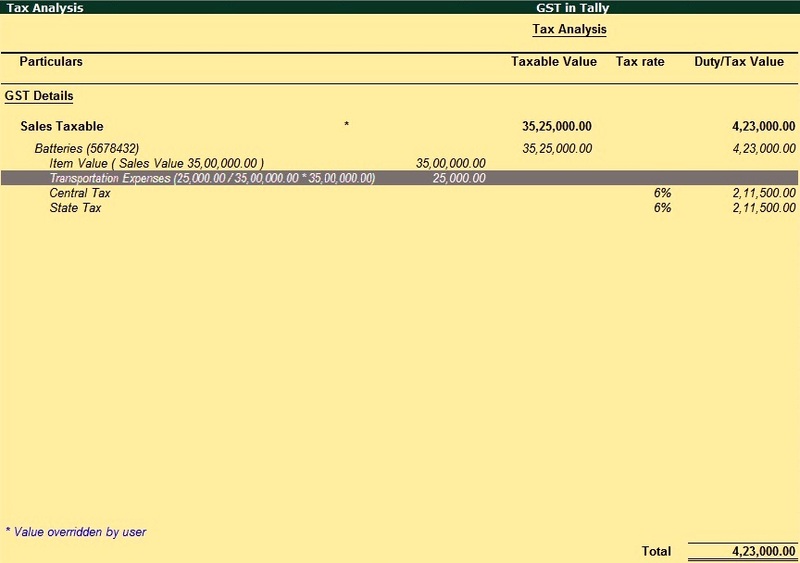 You will show option of Include assessable value calculation for GST Enable is available. Select GST - Appropriate to Goods or Services. Method of calculation - Based on value. In above image you can see there is transportation cost of Rs. 25000 added in sale invoice and Tax CGST and SGST charged including Transportation Charges. 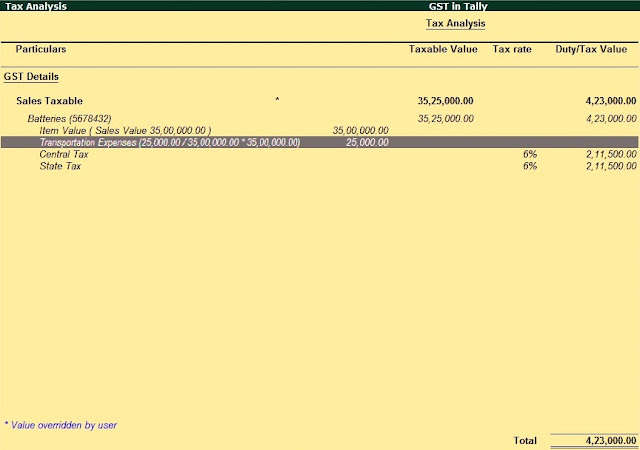 For detailed view of Tax Calculation press Alt + A in voucher entry and tax analysis will appear on your screen.